Problem: Electric baseboard heaters throughout the home lead to high energy bills in the winter! 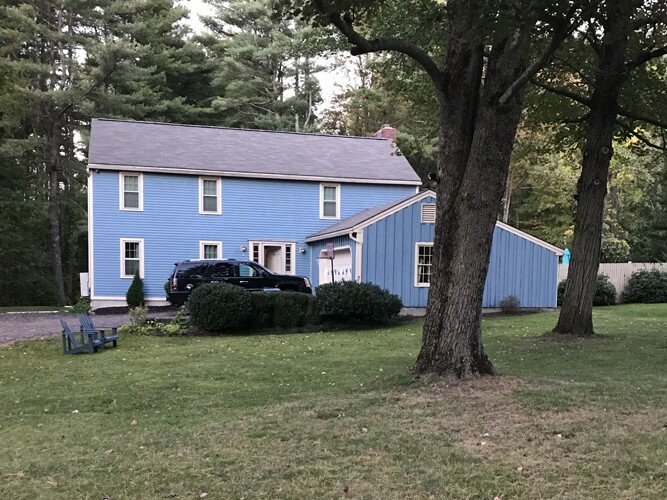 These homeowners were always stuck in the battle of keeping their home comfortable for family and guests, but not paying a fortune to heat it. 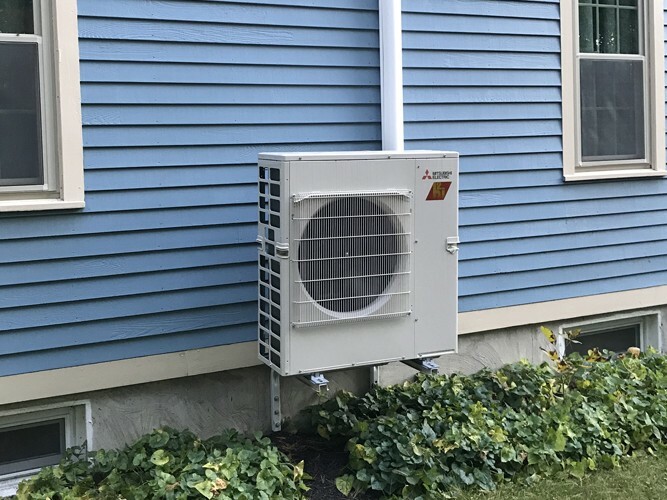 Solution: Dual-head Mitsubishi Electric Hyper-Heat system with one outdoor unit and two indoor wall mounted air handlers. This colonial in Stratham had nothing but electric baseboards and a gas fireplace to combat the cold winter months. The new homeowners were concerned about their potential heating bills, and spent the first winter leaving the house cold and uncomfortable (in an effort to conserve energy). They reached out to East Coast to assist with an efficient solution. After researching several options, including a conventional ducted gas fired furnace, we settled upon a dual-zone Hyper-Heat Mitsubishi HVAC system. 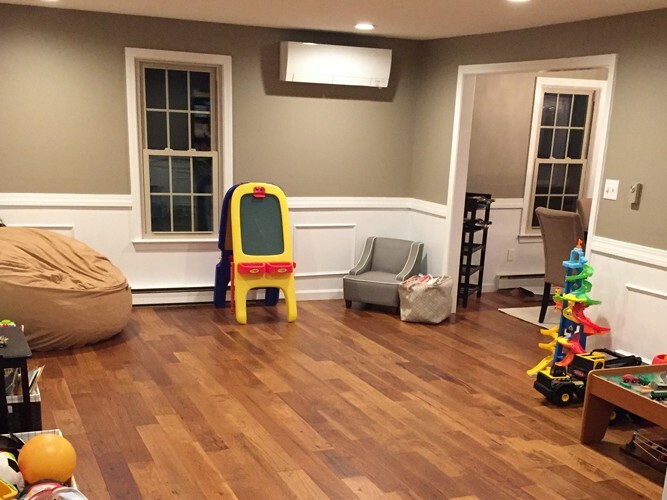 The FH indoor head in the playroom heats most of the first floor, and is supplemented by the gas fireplace. The second ductless air handler is in the master suite, and keeps the bedroom comfortable on a separate control. The next phase of this installation will include a second condenser to address three more bedrooms upstairs.